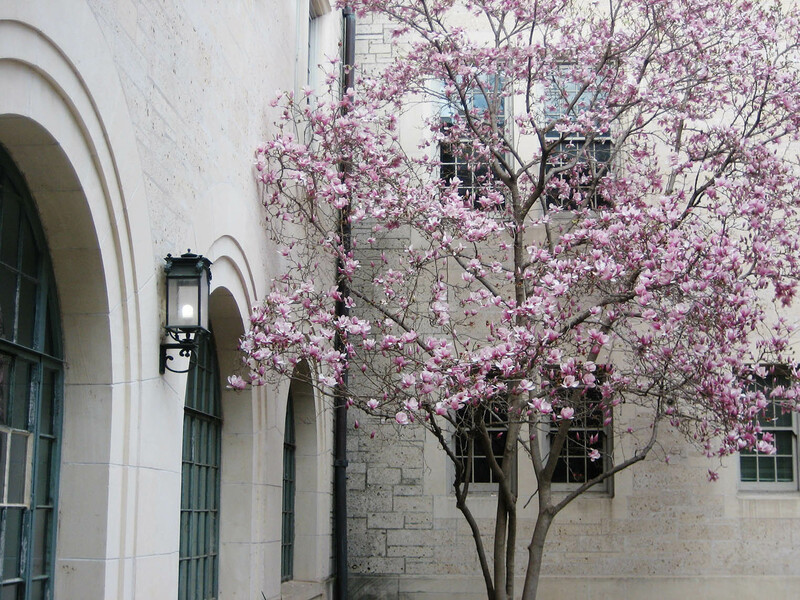 About this time five years ago, I was sitting in the courtyard of Goldsmith Hall on the University of Texas campus in Austin, Texas. It is there that I sat on a worn wooden bench taking photos of the petal-filled space. It was so quiet, I remember there being a slight chill in the air, and I was all alone. I loved that courtyard. I still love it. The space has an innate sense of calm that’s not shut off from the frenzy on the other side of the windows, but has the ability to recontextualize it and add some measure of beauty to the madness. Was I taking a break from a studio project? Ah no, that was my first semester without studio. Having finished the majority of my architecture degree requirements at that point, my schedule was filled with English and humanities classes. Perhaps that’s why I found myself back in the arms of good ol’ Goldsmith, visiting an old friend, a place I felt so comfortable in. This is a photo that has come to define me, and in many ways still does. It’s been my avatar on so many sites for so long, I don’t know if I’ll ever change it. Granted it’s not the best photo, not the best composed, and not the greatest quality, but I cherish it because it’s a moment from that time – that four years of time when I became an architect. I was recently browsing one of my favorite blogs, Life of an Architect, and started thinking about that title. The life of an architect. 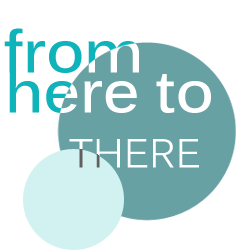 The architect behind it, Bob Borson, is referring to his specific life as an architect, but moreso about the life of architects in general. He’s a University of Texas alum and practicing architect in Dallas, and I always find it interesting to read about and from architects, because it’s the life I could’ve had if I had stuck with practicing. But the truth is, I will always consider myself an architect. And my life will always be that of an architect. The truth is, I never wanted to be an architect and ended up in the major purely by accident (a result of some extreme procrastination that ended up being the best mistake ever). The truth is, as much as I am infatuated with art and as crap I am at architectural design, my perspective of the world will always be that of an architect. And the truth is that I will always consume way too much coffee, stay up all night all too often for no apparent reason, write with the black Precise V5s I buy in bulk because yes I have a favorite pen, obsess about details no one else cares about, and absolutely whole-heartedly love architecture. I may not be able to legally call myself an architect, and practicing architects may frown on my choice to stay out of the field (trust me, I was crap at practicing), but that alone doesn’t make one an architect. So yeah, that’s why I’m an architect. Sweetness. Sweet tea. Love the stuff. How can you not? 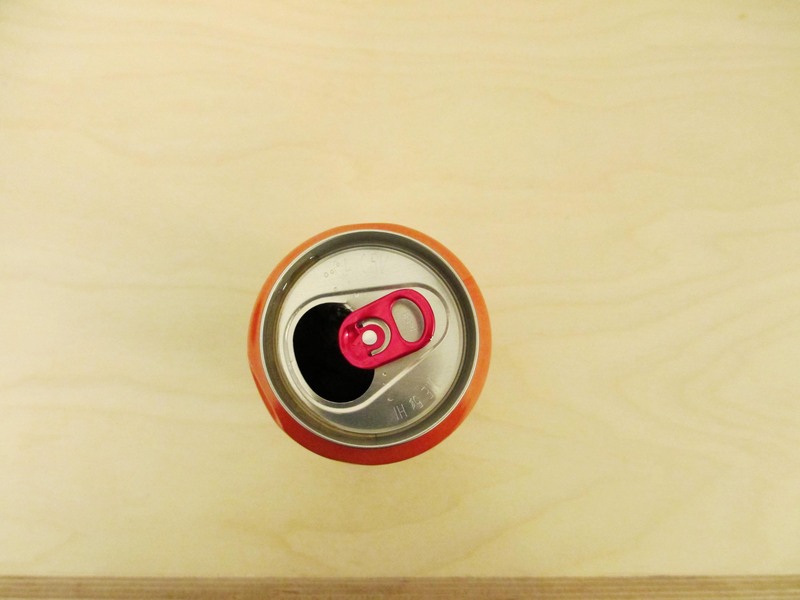 Sweet Leaf is a brand of iced teas, and the company is based in Austin! Ah, fond memories. 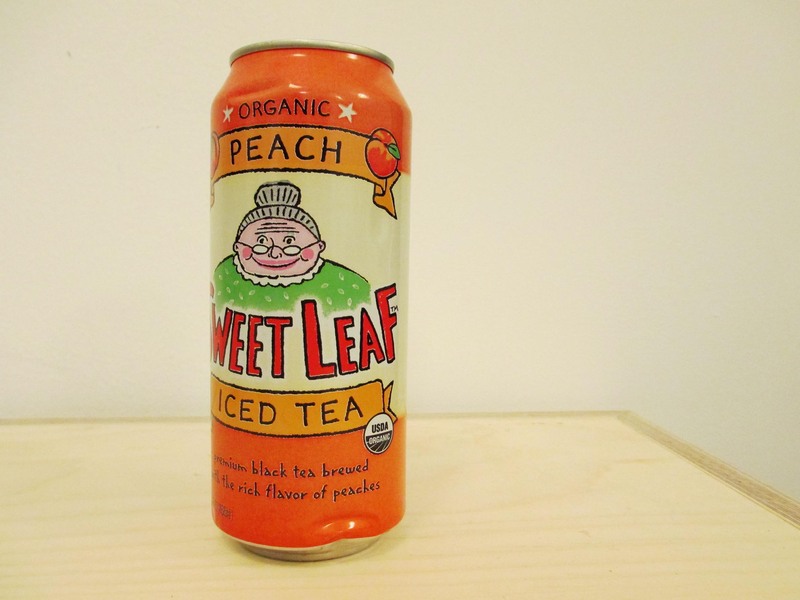 Since Sweet Leaf uses cane sugar and black tea and its ingredients list is super short, even though it’s in a can, it’s much, much better than Nestea or Brisk or Snapple because Sweet Leaf actually tastes like sweet tea rather than canned/bottled iced tea. My favorite flavor is the peach sweet tea, although the original is pretty yummy too. The vending machine on campus has an array of Sweet Leaf options, which is great (and fairly uncommon for New York) … but a bad thing for my coin purse. I’ve been on campus A LOT lately working on thesis stuff, and the Sweet Leaf is only two flights of stairs and $1.25 away … so yes, there has been A LOT of Sweet Leaf consumed lately. There’s something about sitting outside on a worn wooden bench and rolling a fallen flower petal between your fingers that truly embodies spring. Enclosed in a limestone courtyard, the sky is a quiet blue gently sponged with soft whites. 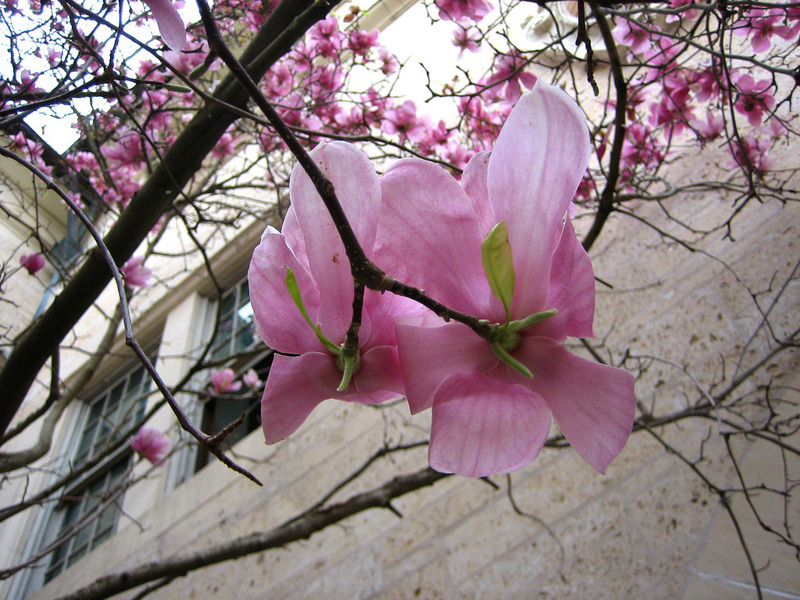 The tree branches overhead sway with tame wind gusts and drop petals around. I wore my hair down to feel the wind rustle through the strands, not minding when they get tangled up by my pearl earrings. Today was such a fantastic day. I’m so glad it’s spring already. To me, this season epitomizes simple happiness. Days like this, I think I’ll never leave Austin. I have been sick for the past few days, but today, Sunday, I can finally take some time to rest. I woke up about an hour ago and I feel all-over achy (not to mention the sneezing and coughing). Oh, and I have a giant two-inch bruise on my arm from carrying groceries. Yucks. Times like these I really wish I had something stronger than Tylenol at home. My lunch today reflects my current state. Orange juice for the Vitamin C … does that even help? 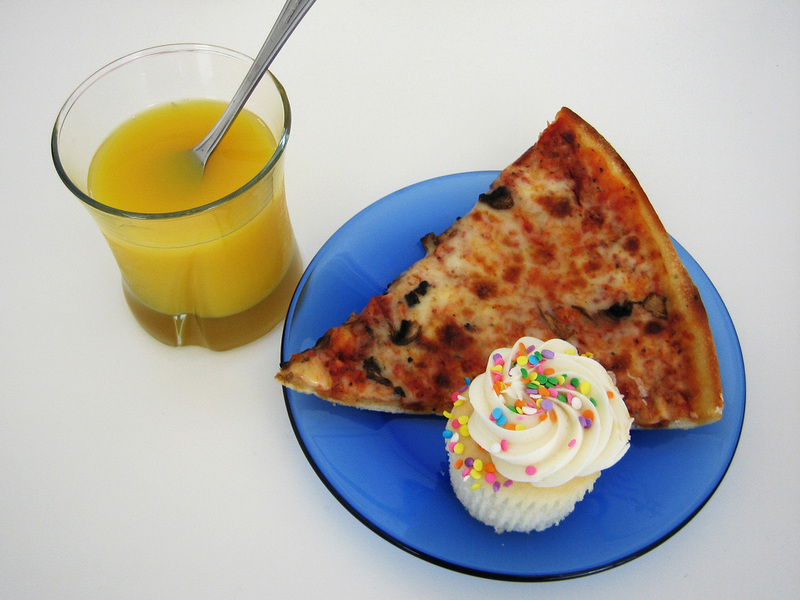 Then leftover pizza and a cupcake for a pick-me-up. As a whole, it looks pretty discordant, but I’m sick, so blah. Things to do: homework, laundry, cleaning, check mail, organize finances, and sleep. I have a sneaking suspicion that I’m only going to be doing the last item. And I’ll probably have to skip work tomorrow, which would be the FIRST time I haven’t come in to work. Darn. I cannot believe how long it has been since I’ve posted. It’s really quite a travesty. Since my sewing machine hasn’t been touched (except to push it further against the wall), I figured I would share the only pictures I’ve taken recently – architecture around Austin. Figuring that most people wouldn’t care about all the construction details, I picked some interior shots that I thought were particularly inspiring. First up is the Livestrong Lance Armstrong Foundation Headquarters by Lake/Flato and Bommarito Group. From the exterior, the building was rather unassuming, but the interior felt extremely spacious. There was a lot of warm wood, with much of the wood used recycled from the previously-existing building. Then comes a private residence called Undertree House by Loop Design. 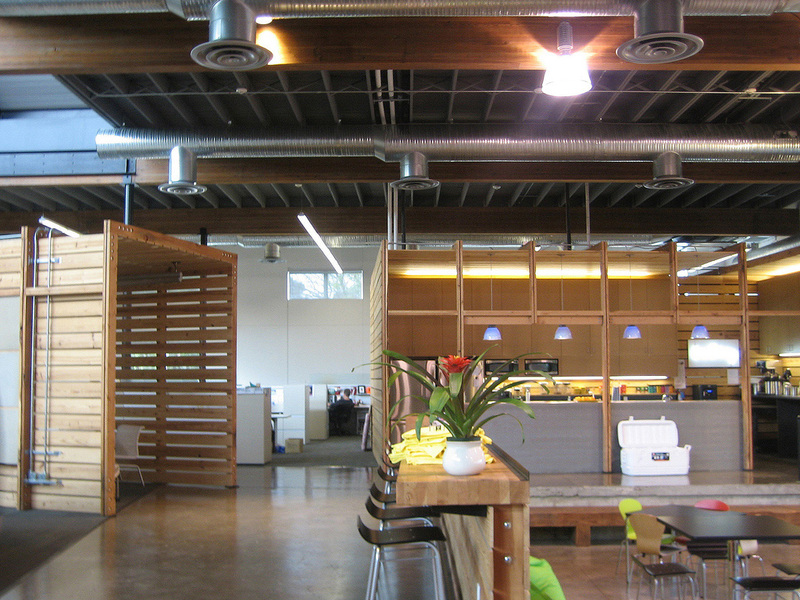 It has been described as somewhat “whimsical”, but has a great Austin vibe and is very environmentally-responsive. Its name derives from the fact that the house’s plan was arranged based on the existing trees on the lot. 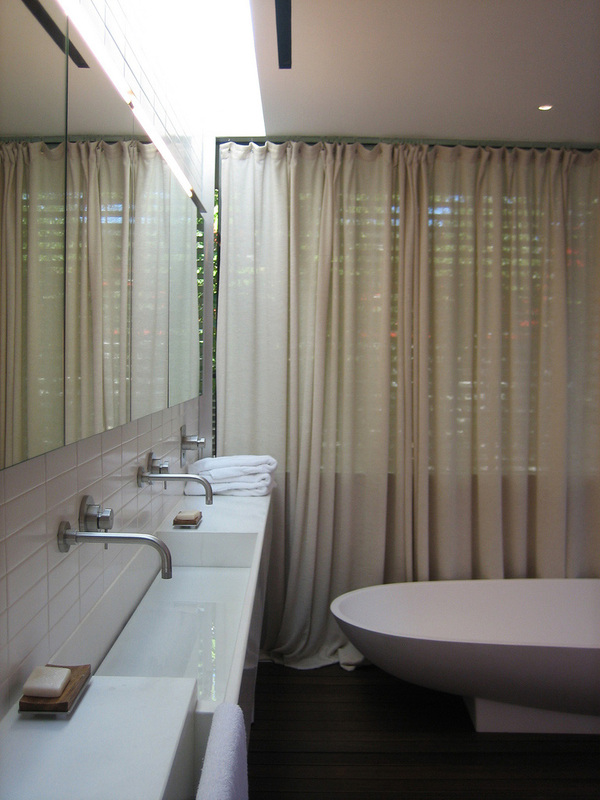 Lastly is another private residence, Wolfe Den by MJ Neal. 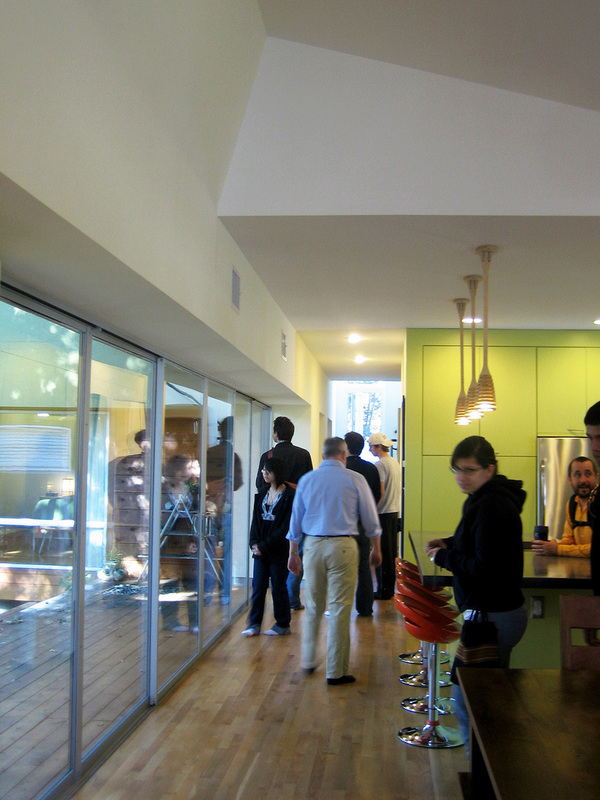 This was a very modern house – nice clean lines all over the place. The house’s entire side wall was covered in touch-latched closets, so all their stuff was hidden. There was the most beautiful bathroom ever in that house. Loving the white. And that white counter? It’s cast concrete! So this is the type of thing that I get excited about. I’ll probably end up showing more architecture pictures on this blog, because it’s my blog and I can do whatever I want. Also, I haven’t been very productive or crafty. The holiday season is coming up, which I’m really excited about. Unfortunately that just means more hectic-ness for me, but if I’m going to be making any gifts, I should probably get on that. Anyway, I probably won’t post again for a while, so: Happy Early Thanksgiving! It’s been one week since my last post. From now on I’ll probably only post about once a week because, well … I really don’t have much to post about. I hope everyone had a great Labor Day weekend. As I mentioned previously, my sister came to town and we did sisterly things, like eat and shop. It was so great to see her again. Good Austin-y restaurants to try: Blue Dahlia (on East 11th), Chuy’s (on Barton Springs), and Woodland (on South Congress). I definitely need to go back to Woodland because their meatloaf sandwich was ridiculously delicious. We went to the Farmer’s Market at 4th and Guadalupe on Saturday morning, where we tried some very yummy samples and bought figs. 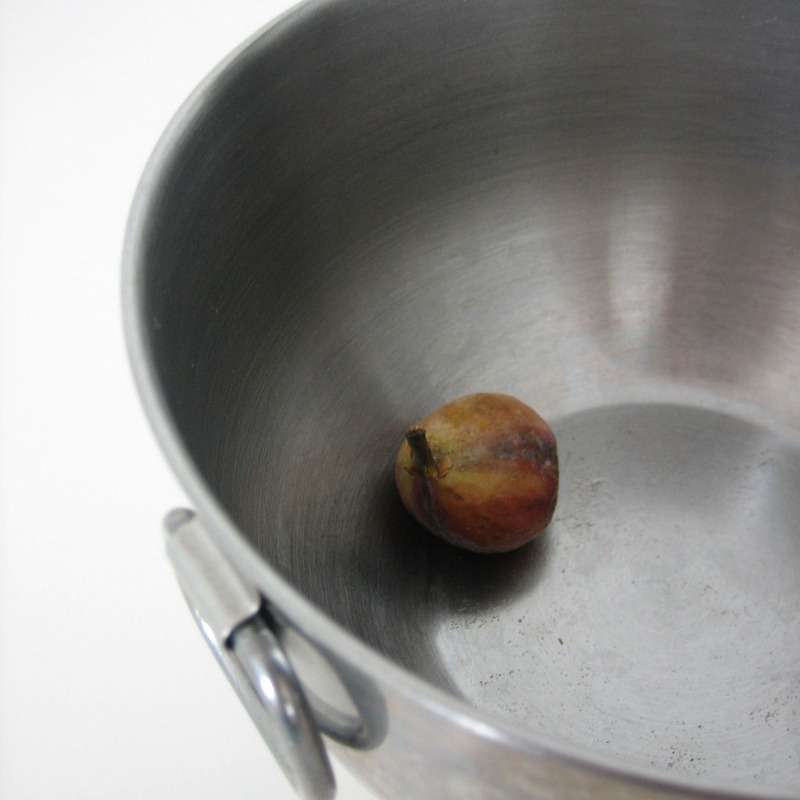 I had never had figs that didn’t come in a newton before, so I was completely shocked when I first bit into one. YUM. So sweet … so lovely. The picture is of the very last fig – right before I ate that little piece of heaven. On Labor Day I went to a friend’s place for a get-together she was having. To thank her, I made her some oatmeal cookies and gave them to her yesterday. They actually turned out really good. 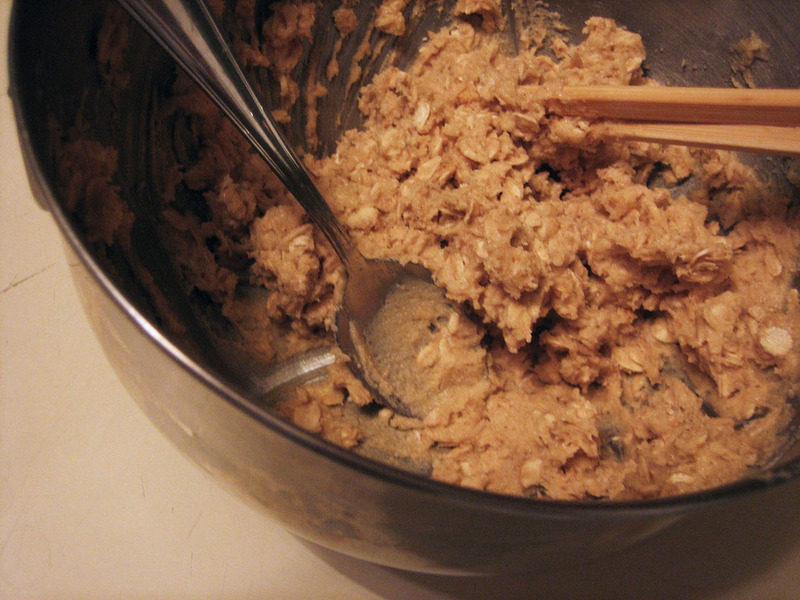 I halved this recipe but still ended up with a few over two dozen 2″ cookies. The ingredients list below is for the full recipe, so if you want a smaller batch, just halve it like I did. 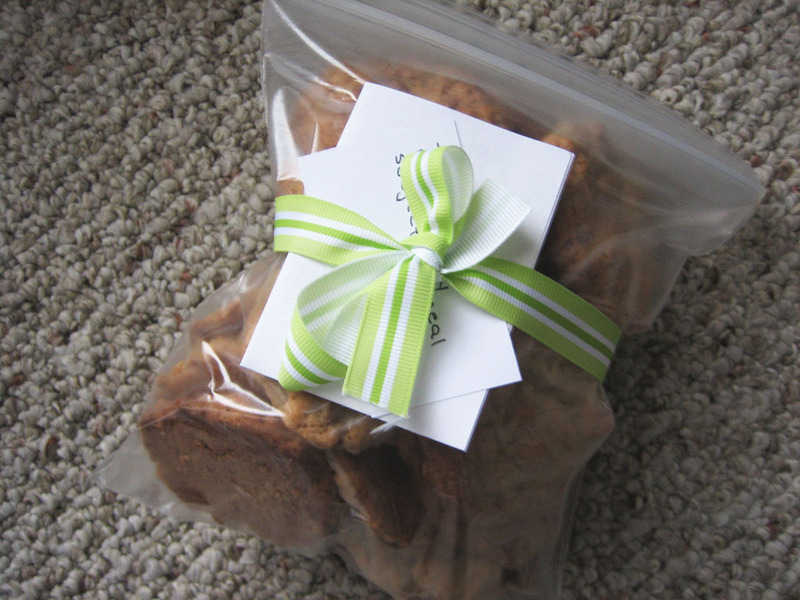 I haven’t had a chance to make those reusable cookie bags, so I just used a plain ol’ ziploc with a piece of ribbon and tucked in a note. I left the cookies on her desk yesterday morning and got a voicemail from her thanking me later on. This is why I love giving cookies – it just makes people happy! And it makes me happy for making others happy! All in all, very happy. 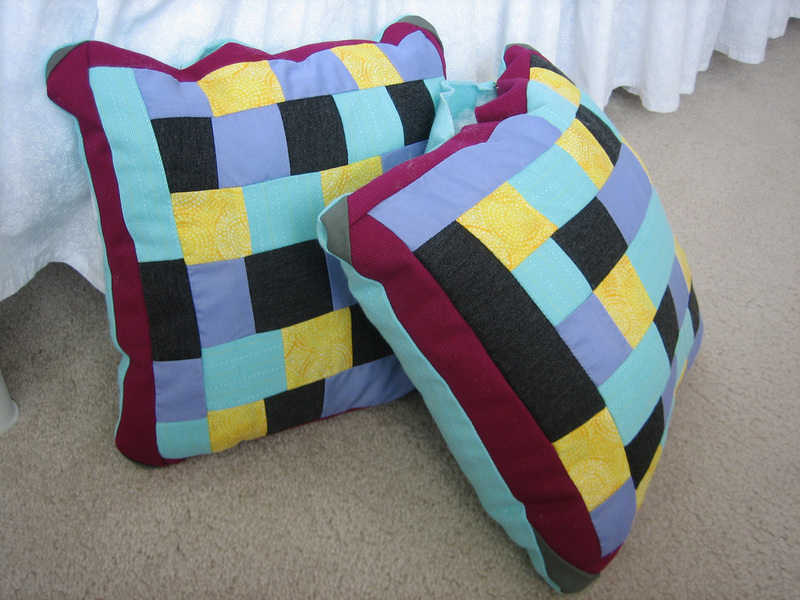 I also finally managed to give my friend X her birthday pillows. More happiness! But … apparently my sister thinks I’m tired all the time because I eat too many simple sugars. Yeah yeah, probably true. I just happen to really like bread, muffins, and cookies. Is that so wrong? Since I don’t have a job and there’s no money coming in, I really should not be spending money. But since I don’t have a job, I have a lot of free time to go shopping (my class is also over). It’s really a vicious cycle. So off on the sidebar, I decided to start tallying up how much I spend on these little shopping expeditions. I’m only including the money spent on non-necessities, like for crafts and such. I was going to include money spent on eating out as well, but then I figured that would be too depressing. First up, remember how I was so upset that Wal-Mart no longer carries fabric? Well my friend X mentioned to me the other day that there was still one in the Austin area that does! So I was all excited and decided to head down there to check it out. It’s at 9300 I-35 S, in the Southpark Meadows shopping center. The fabric selection was somewhat miserable, definitely nothing worth a special trip for. At least I now know it’s there, and since there was also a Hobby Lobby nearby, I stopped by there as well. When I go shopping, sometimes I just can’t help myself. I tell myself I’m there to browse, and then I keep picking things up. 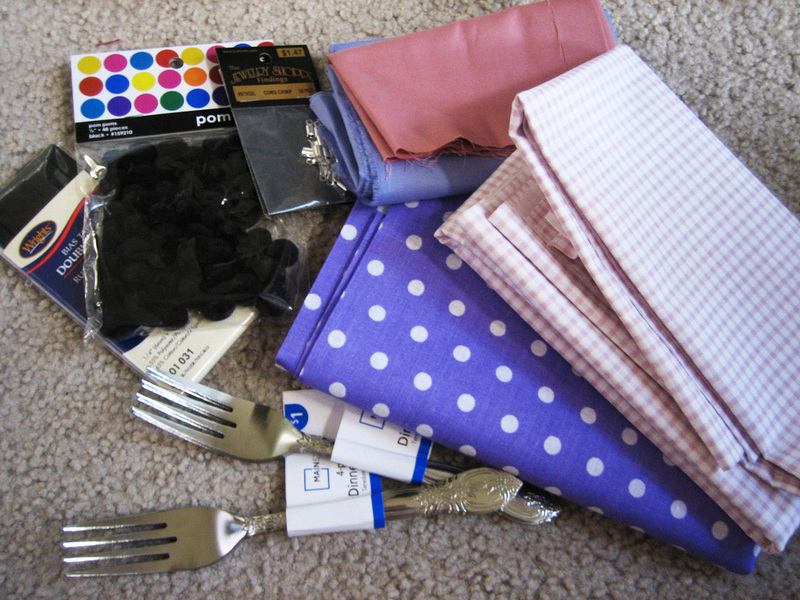 From the cheap fabric, I got one yard of checkered light pink and one yard of purple with white polka dots. 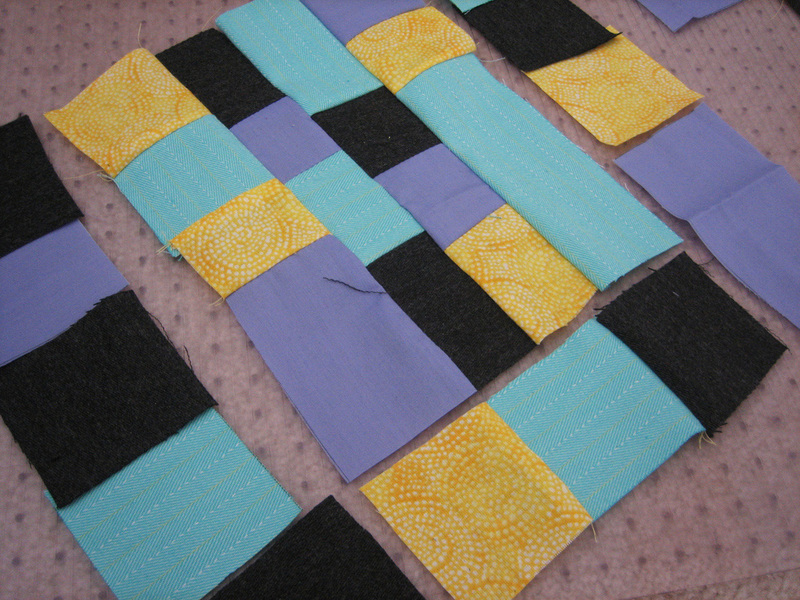 I think I’m going to turn them into aprons … we’ll see. I also picked up some forks (four for a dollar). They’re really cheaply made (obviously) so they bend easily, an attribute which might come in handy for some projects – once I figure out what kind of project would use forks. Then there were just some more random supplies for in-the-works projects. Next up, CraigsList finds! Woohoo! I love CraigsList, and the free section is my friend. But things there go fast, so I was pleasantly surprised when I received a positive reply to my e-mail. 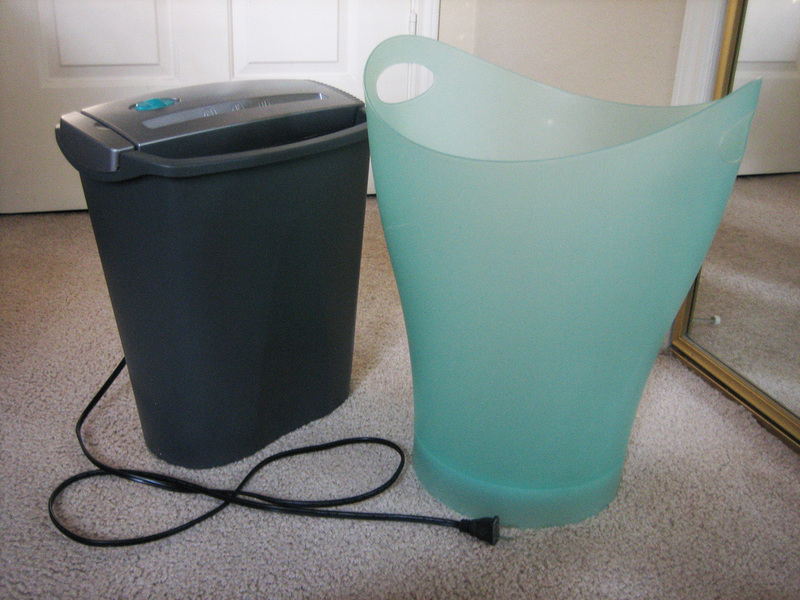 I picked up this paper shredder and trashcan (love that shape and color) from a girl who was moving out of her apartment and didn’t have room for them in her car. 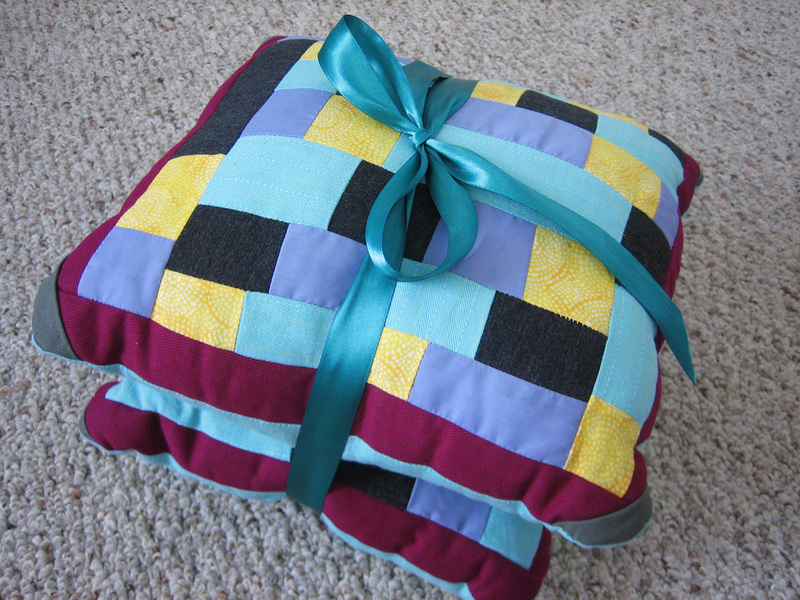 After the trashcan got a good cleaning, I decided it was too pretty to use as a trashcan, so it’s holding some fabric and rolls of cross-stitch fabric. Another CraigsList find, this time in the household section, are some picture frames. Twelve of them for $5, not bad. 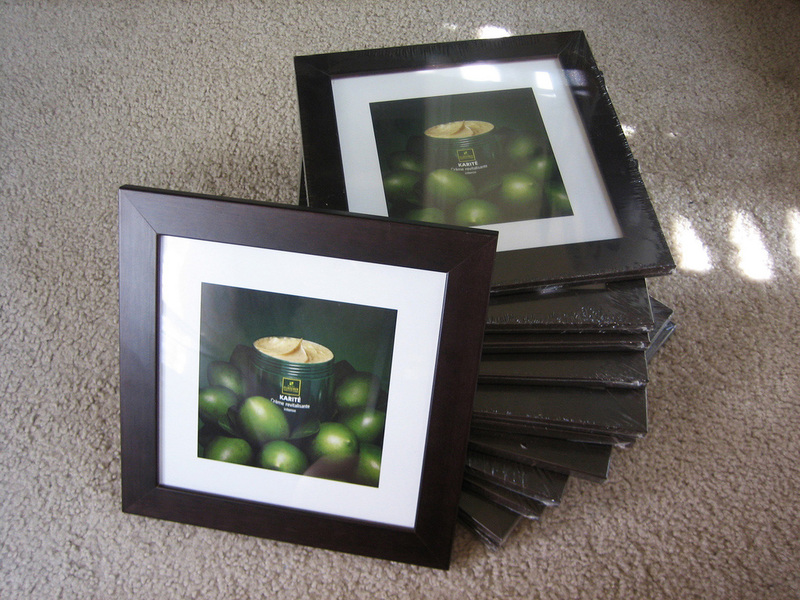 They’re all the same, outer dimensions about 9.5″ square (square!). They’re a dark kind of wood, but I think I’m going to leave them that color instead of putting in the extra effort to paint them black like I was originally planning. These will also be for a project … eventually. Maybe something with frames and forks? I like pretty things. 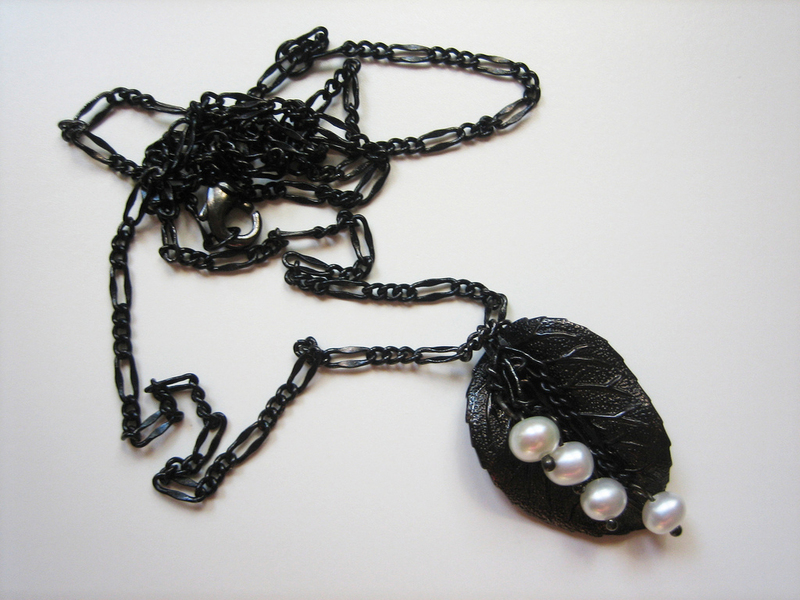 From the sister: necklace with metal leaf and beads. She sent it to me in the mail, so I got it before my birthday. When I told her I had already opened it, she yelled at me. True love. Anyway, I wore it on my birthday and it’s the perfect length! I like crafty things. 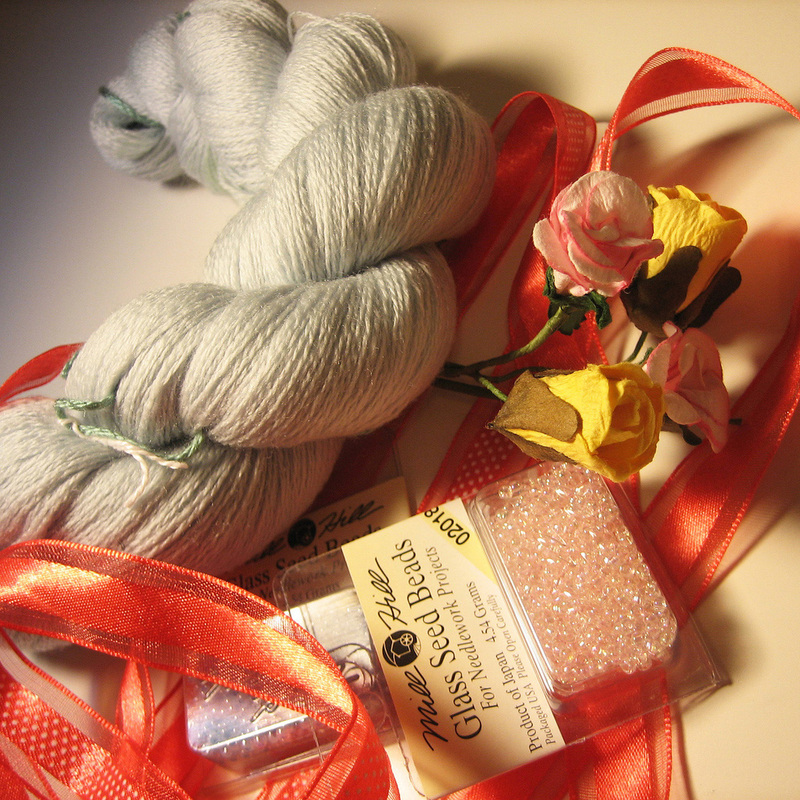 From friend X: merino blend wool yarn and glass beads. She also included red ribbon and yellow flowers because she knows that I hate the colors red and yellow. Yes, ladies and gentlemen, that is true friendship. 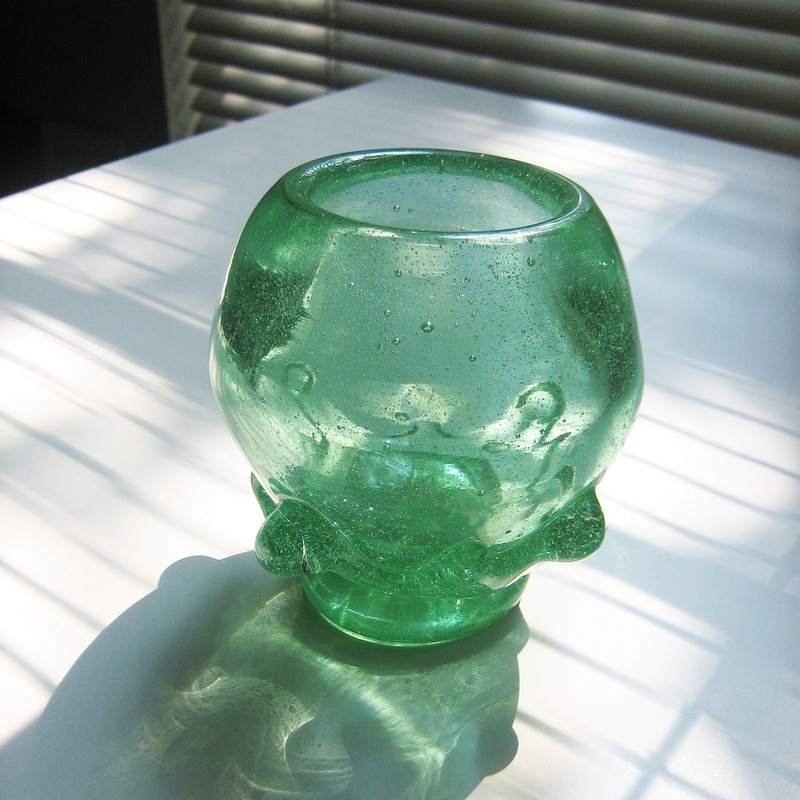 I like glass things.From friend A: blown glass container/orb/beautiful-thing-that’s-going-on-the-coffee-table. She said it’s made from recycled glass from some specific brand of soda that I forget. Anyway, it’s fabulous and she got it from Austin Art Glass, which has some really nice pieces. I need to visit that place sometime. I like nostalgic things. 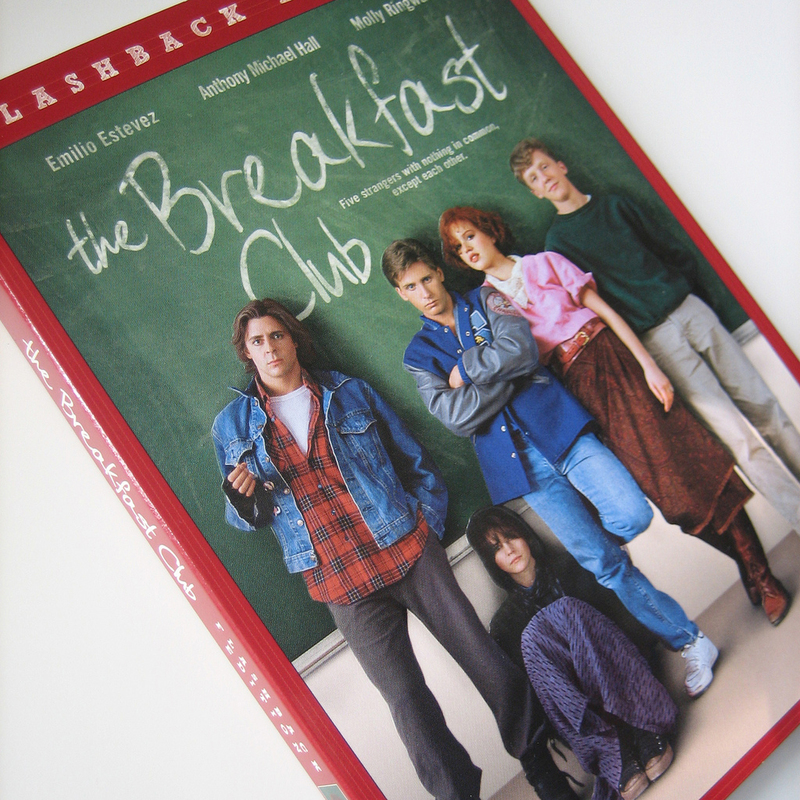 From roommate S: DVD of “The Breakfast Club”. Sweet. This is one of my favorite movies, but for some reason I never owned it. Now I can watch it again, and again, and again! Yes. Fantastic. I had a great birthday and the gifts, while fabulous, could not compare to the dinner I had at Kerbey Lane with my friends. I love this town. Ack! It’s almost been two weeks since I’ve made a single post. Bad, bad me. So much has happened in the last two weeks and I just went to download pictures off of my camera today, so there will be a few posts in quick succession. First of all, the reason why last week was so busy was … wait for it … I GOT A JOB! Okay, it was a temporary job that ended on Sunday, but still! And it was with Mamma Mia! I sold programs and CDs before and after the show and during intermission, so the rest of the time I was free to do homework or watch the show – which was amazing. Bass Concert Hall is a beautiful space. 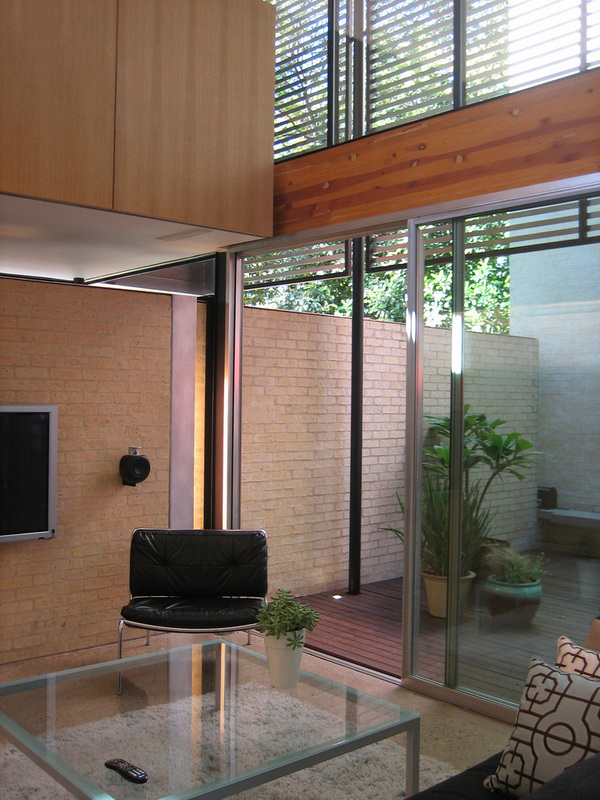 The renovation a few years back made it really modern and simple, just my style. Although now I can’t seem to stop humming ABBA songs. But in the mail I received a silicone muffin pan from an online offer thing. So … because I had these spiffy new silicone pans, I had never used silicone before, and I was craving chocolate, I decided to make some oatmeal chocolate chip muffins. I love these things and they’re sort of my go-to recipe for yumminess. And the oatmeal makes me feel healthy despite all the chocolate. I’m not quite sure where I got the recipe from since I’ve had it for a while, but I’ve made it a few times (great each time). The recipe follows below. So what do I think of silicone? Eh, works okay. It’s kind of annoying because since the pans themselves are pretty flexible, you have to put them on a cookie sheet when baking so they don’t flop all around. 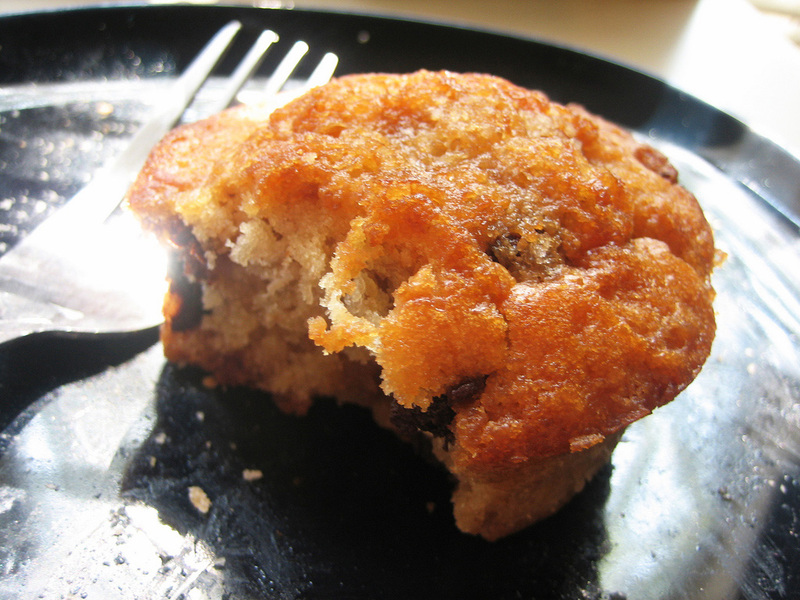 Also, they don’t brown as nicely so the edges of my muffins looked uncooked and kind of weird. On the other hand, they did clean pretty nicely and they are blue …. They might grow on me, but for now I think I still prefer metal muffin pans and glass for everything else. But for just a dollar, could you find a better muffin pan?